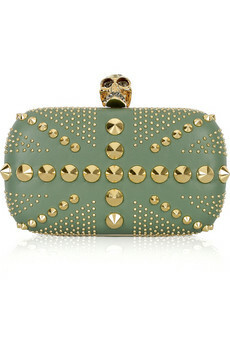 I don't think there's any amount of words to explain how much I love this McQueen clutch...in all colors and forms. There are several editions out there and I swoon every time I see it. Those studs and that clasp. Ugh. Such a tough-girl-meets-femme-fatale vibe. Do I have to carry a diaper bag...seriously?